My last day! Sad times :( However, as the saying goes, my Goddard experience was most definitely going out with a bang. 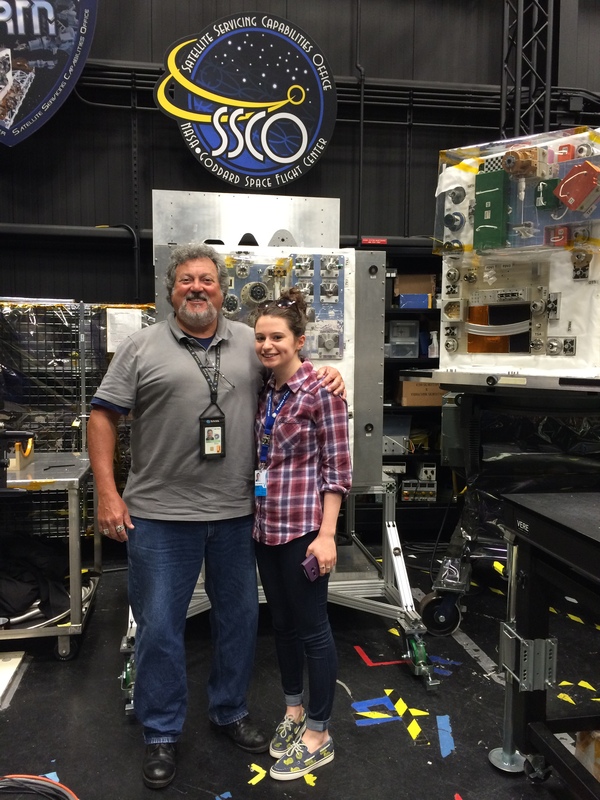 A visit to the Satellite Servicing Capabilities Office (SSCO) was first up, where I entered robotics heaven. Live feed from the ISS! After the Hubble servicing mission, SSCO opened in 2009 to carry on developing the technology for on-orbit refueling and further the possibilities of robotics on deep space missions. On entering the building where SSCO is housed, there are enclosures with robotic arms sitting in the centre with a maze of wires and computers in every direction. 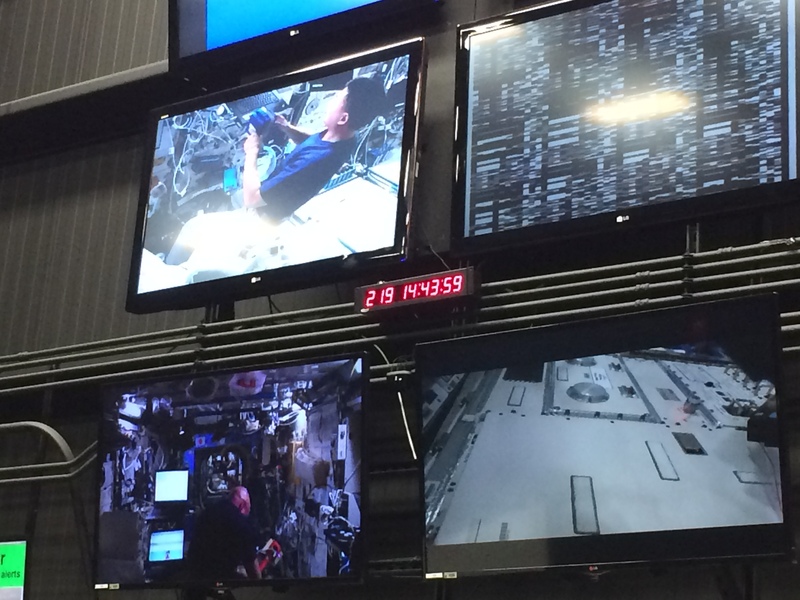 On the wall is a six screen live feed from the ISS, so as we were shown around the facility, every now and then someone would just casually float by as they went about their astronaut business…it was awesome! We were shown around by Ed Rezac, the Robotics Facility Manager. He was clearly very passionate about his work, and it was amazing to find out about the projects that are currently underway. From the Robotic Refueling Mission (RRM) a module dedicated to enabling on orbit refueling currently being used with Dextre on the ISS, to Raven which is launching in 2016, an instrument used for tracking spacecraft rendezvous in real time. It was really interesting to learn about the technologies and also think about the applications of them here on Earth too. ‘The committee That Decides These Things’ chose a place for lunch, so I got to tag along and have a farewell lunchtime with some great people who made me feel so welcome during my time at Goddard. Thank you all for being so kind and welcoming! After exploring the outreach cupboard and seeking out materials for me to take back to use in my own activities, the afternoon was made up of more writing for Blueshift and my final team meeting with Sara and Maggie. We talked about what we had done over the week, the projects that I am taking on moving forward and the possibility of me carrying on posts for Blueshift. It was time for me to hand back my badge and say goodbye to the Moon tree, the meatball and the most fantastic week. I learned so much, met some amazing people, experienced something I have always dreamed of and it was beyond everything I ever thought it could be.